Black humour is self-deprecating – and one of its exponents is an up and coming strand-up comedian from Adelaide. 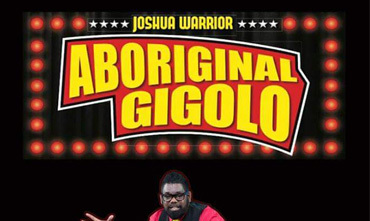 Josh Warrior has just finished a season of his new act Aboriginal Gigolo at the Adelaide Fringe Festival. Nothing is sacred – his vision impairment, his kids and the missteps of fatherhood. He reckons you’re missing something if you can’t have a good laugh at yourself!